I have blogged in my head for years… entertaining those wandering thoughts in my mind during long runs. 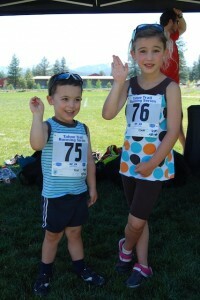 I imagined that I might start to actually write these thoughts this Spring, when my running season resumed. It turns out that ski season is making an unusually tardy appearance in the Lake Tahoe region, allowing the running season to continue well past the winter solstice. Now I’m ready to record and share those wandering long-run thoughts. Most people here are thinking and talking about the stark contrast between this winter and last. Last week’s snow survey yielded the lowest measurement on record – a mere 1/7″ of water, according to the Sierra Sun. While last winter was completely dry the first six weeks of 2011, there was already a hefty base for snow sports, and the cross-country ski conditions were practically perfect for all of January. Then the winter to remember arrived in full-force with the 8th snowiest season on record. There was no shortage of winter sports fun to be had last year. I even learned to enjoy snowshoe running, not an easy task for an avid cross-country skier! 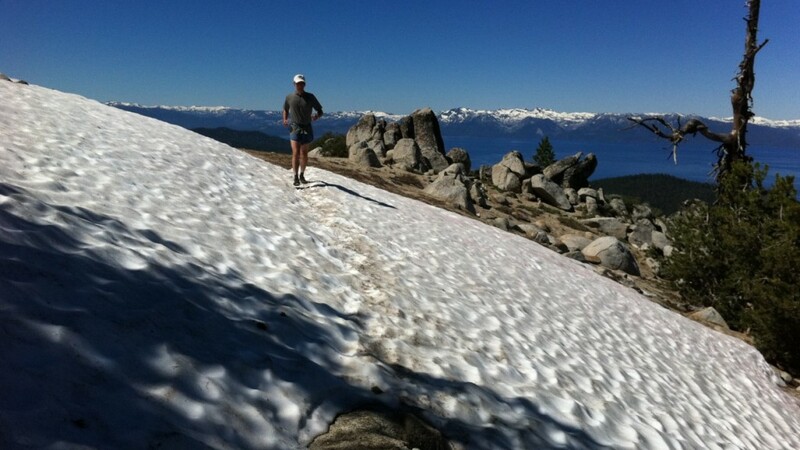 The difficulties came in June and July, while training for my first ultramarathon, the Tahoe Rim Trail (TRT) 50k run. The snow depth at Donner Summit was the highest on record, with 94″ measured on June 7, 2011. The trails above 6500 feet remained covered in snow and/or mud through the month of June. I learned how to drive to lower elevation for those long training runs, not an easy task for someone who likes to run out the back door. Remaining snow pack on the Tahoe Rim Trail near Snow Valley Peak in July 2011. Fast forward to January 2012. My husband has signed up the TRT 50k run, which will not only be his first ultramarathon, but his first foot race of any kind! It was certainly worth staying up until midnight on New Year’s Eve to register for the TRT race, which is already full. We are planning to run it together and enjoyed a spectacular afternoon on the trail this weekend, covering the end of the course from Snowy Valley Peak back down to Spooner Lake. Looking down at a very dry North Canyon Road from the Tahoe Rim Trail. January 2012. We simply could not believe our good fortune to be able to run the TRT on January 7, as well as the ideal (if a little chilly) running conditions. To be fair, there were occasional patches of packed snow/ice on the trail, but they were kept frozen solid by the low temps. In fact, the conditions overall were much better than the last time we ran this section of trail together, on July 10, 2011, when the trail was still covered by considerable patches of soggy snow pack. 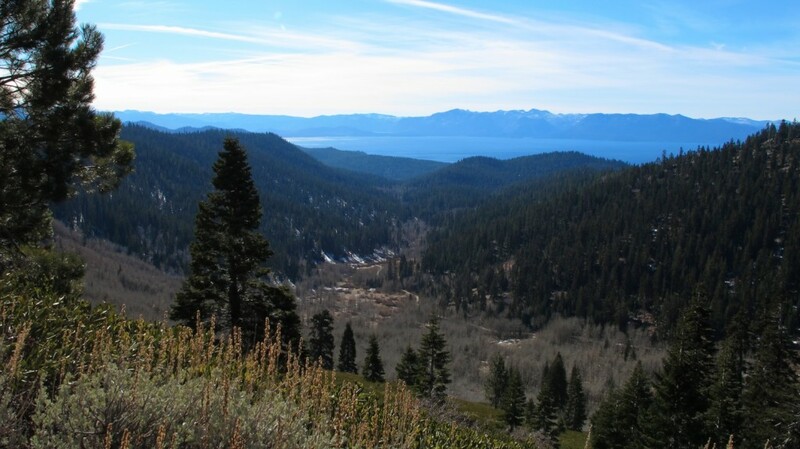 One thing remains constant, the phenomenal beauty of Lake Tahoe, especially that unbelievable view of Marlette Lake perched 1000 feet above Tahoe. 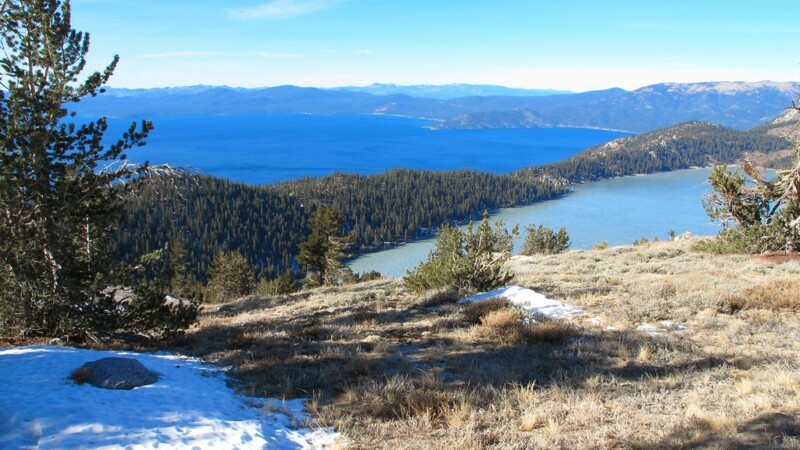 View from Snow Valley Peak on the Tahoe Rim Trail - frozen Marlette Lake perched high above Lake Tahoe. January 2012.